Waiting for Napoleon depicts a compositionally characteristic scene reminiscent of historical romantic painting. 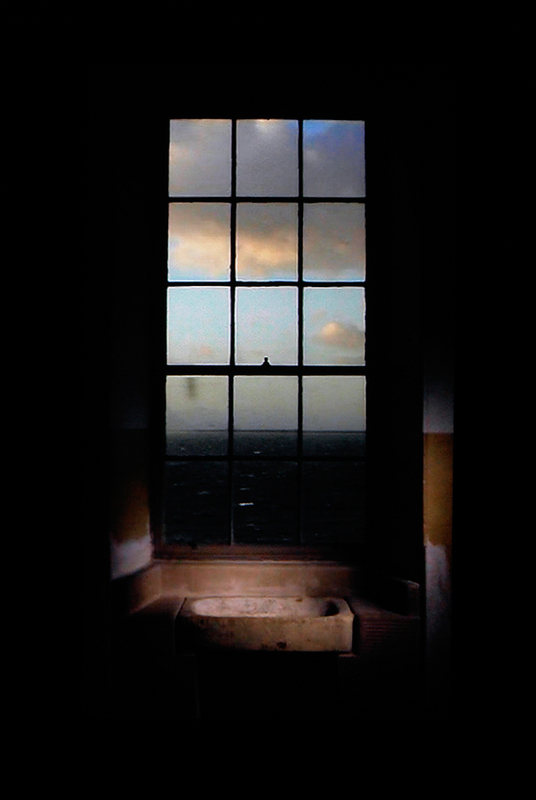 A view through the window of a Scottish castle - out onto the sea, recalls the evocative landscapes of Caspar David Friedrich, whose romantic ideals were very much about being captivated and enthralled by the power of nature. The repetitive motions of the sea and clouds create a mesmeric, almost monotonous energy, that is in tune with the anxious anticipation of an impending invasion. In a sense the work has an endless narrative of waiting/of time passing. While he never actually came, the set-up of the castle is still tailored to that long lost possibility.